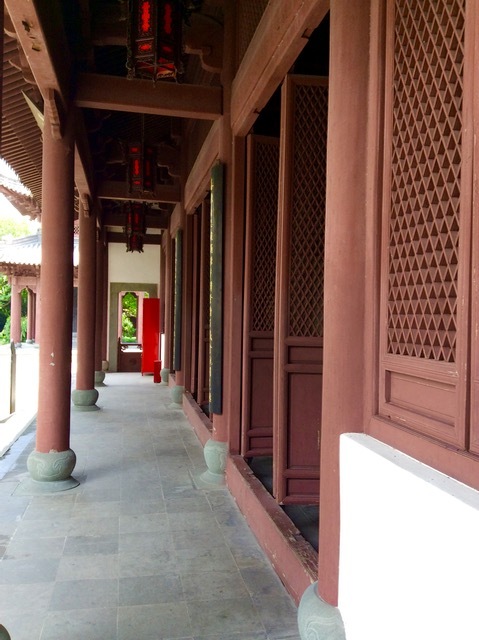 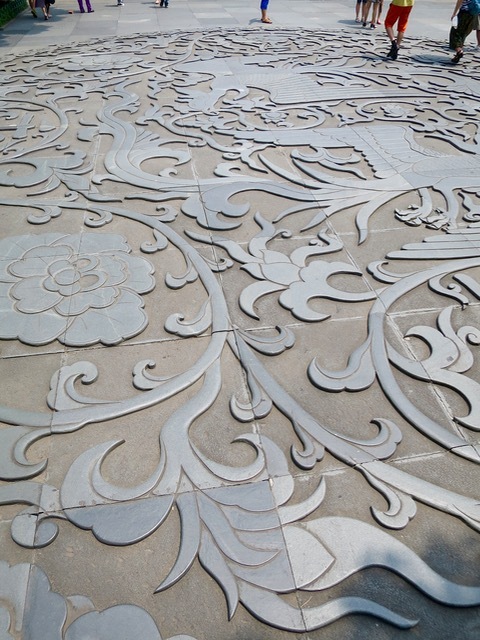 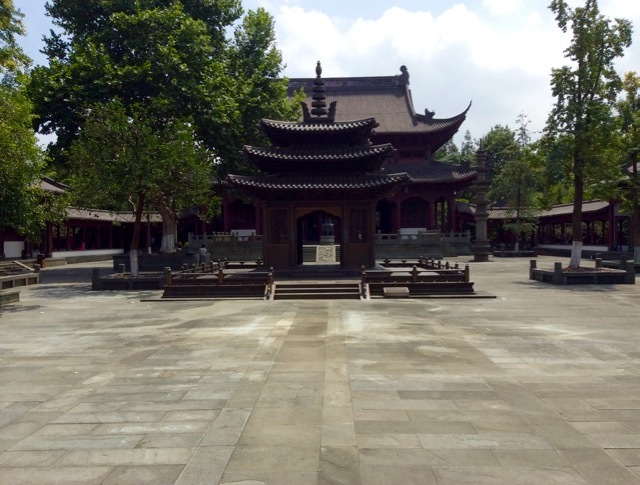 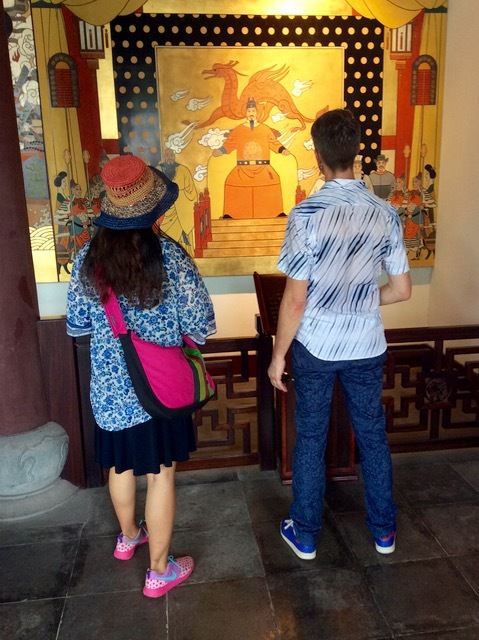 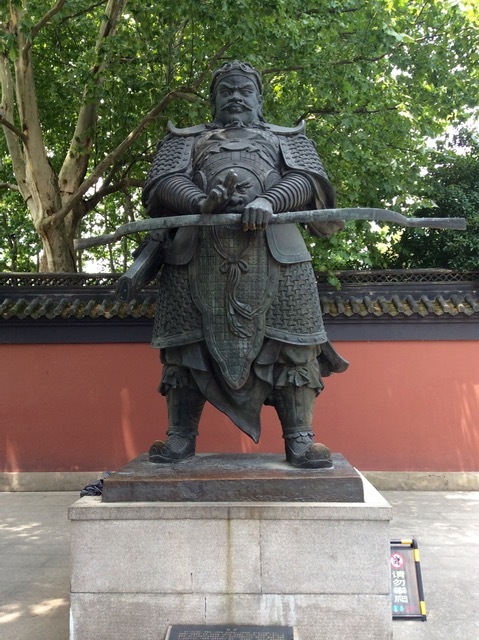 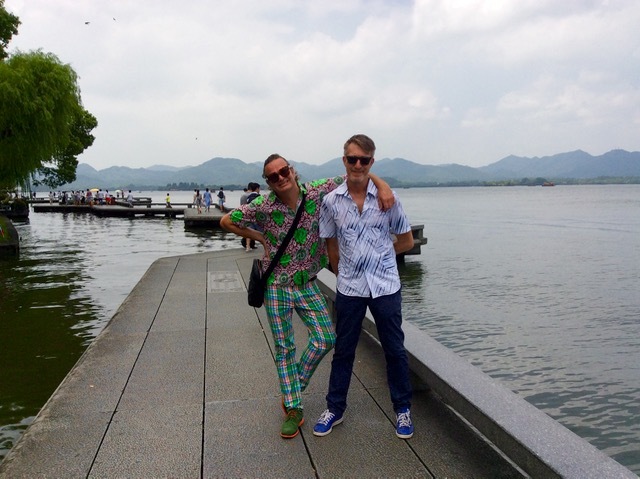 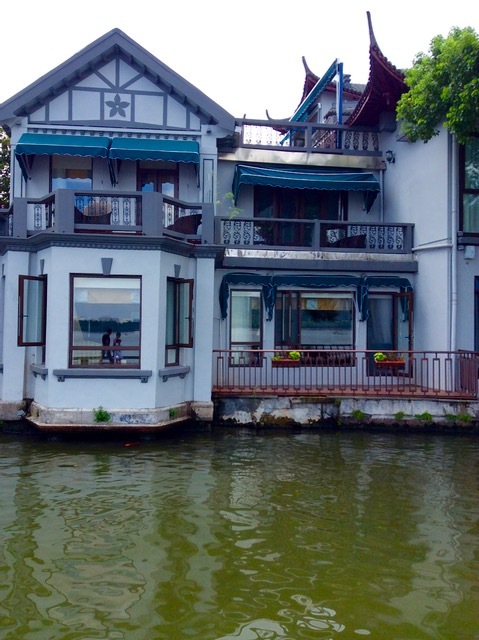 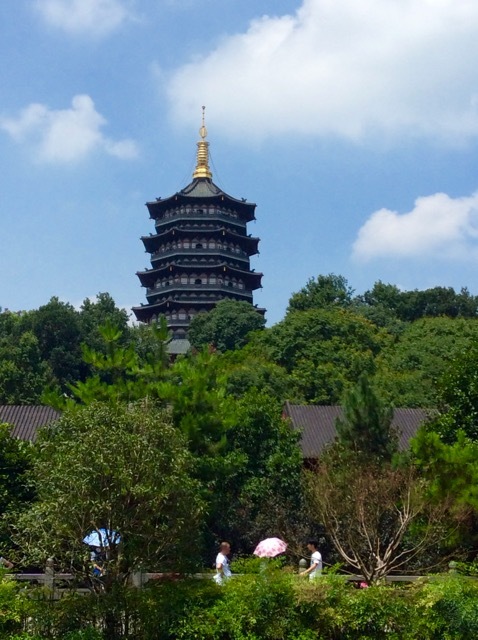 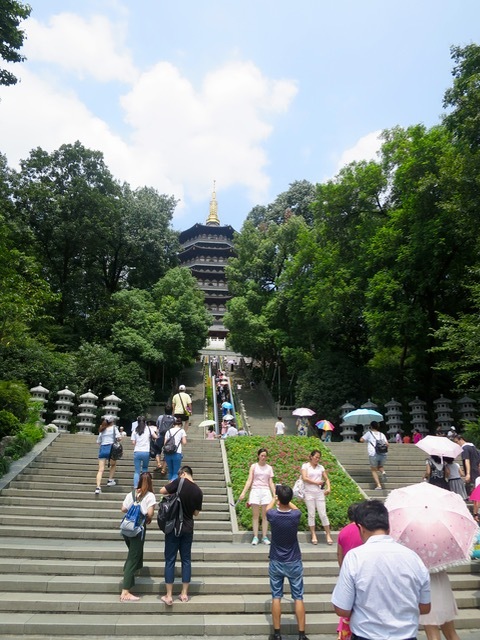 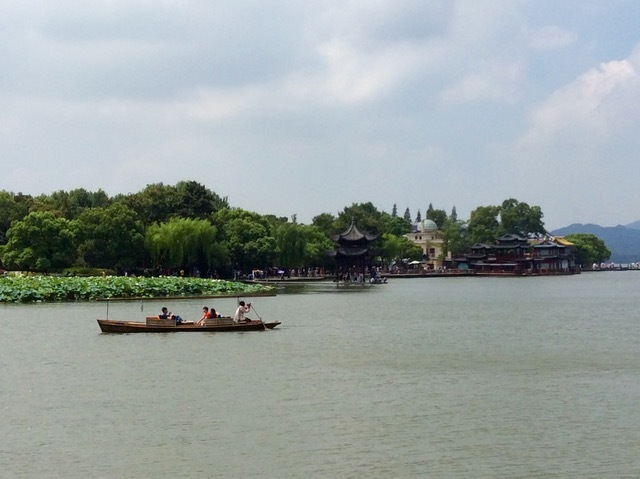 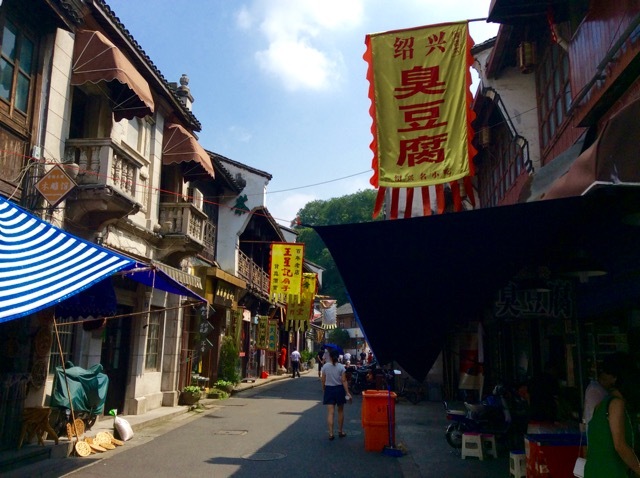 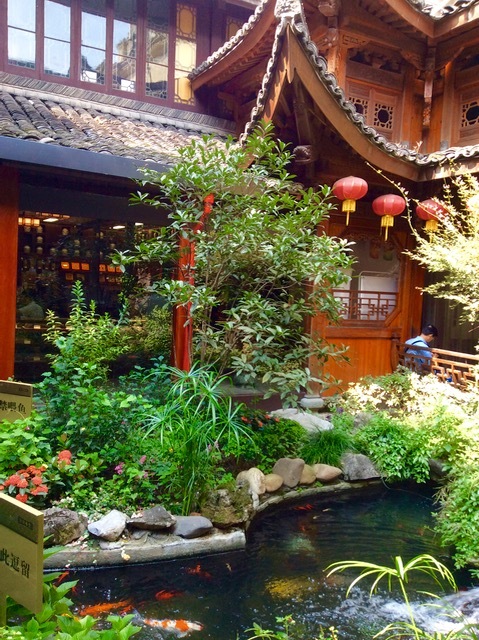 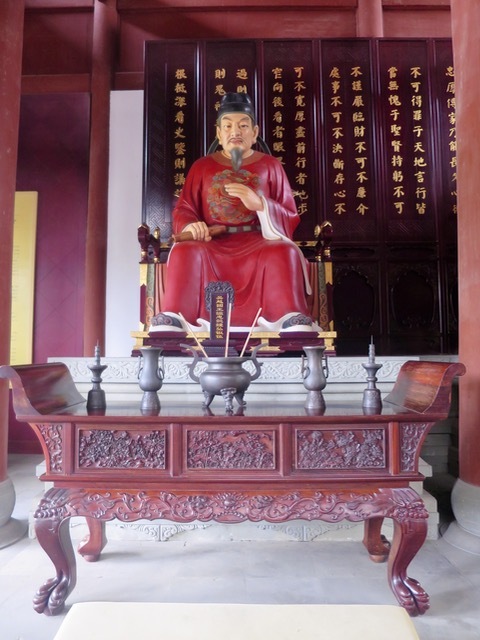 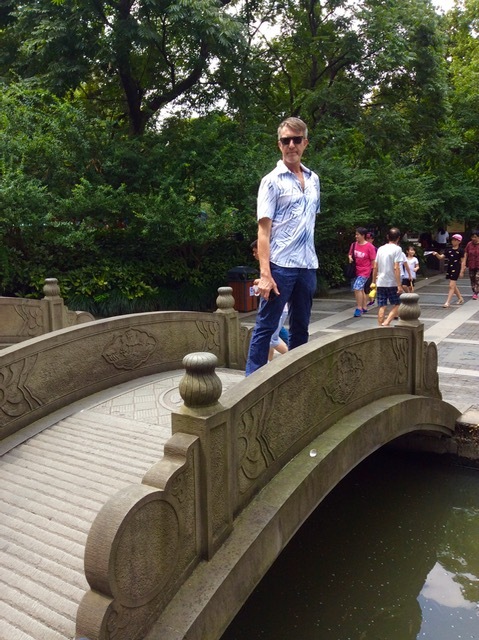 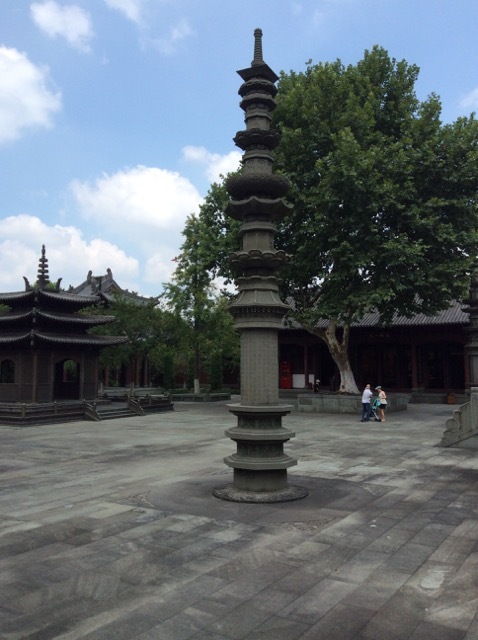 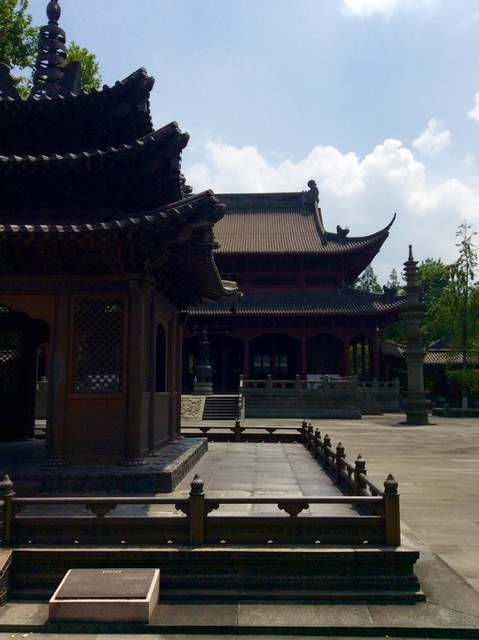 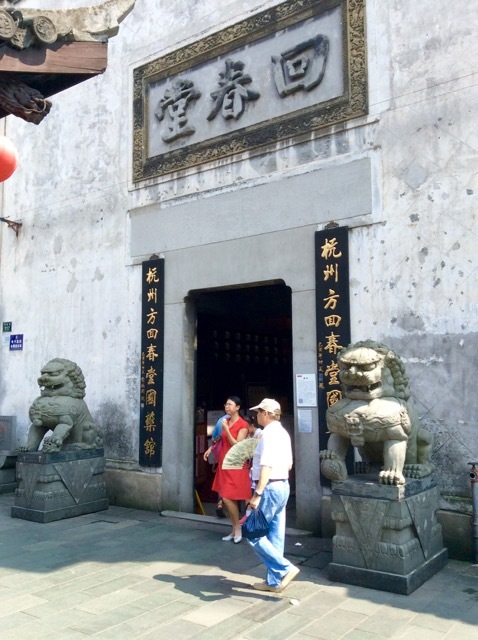 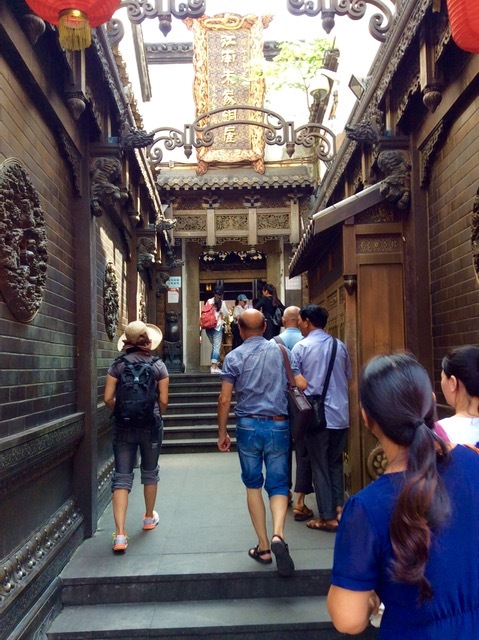 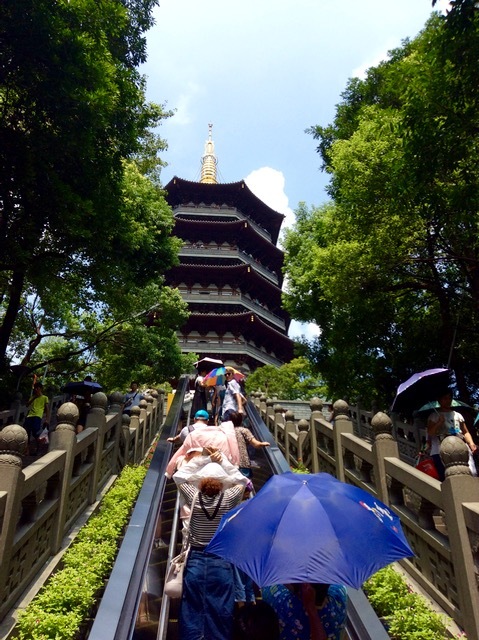 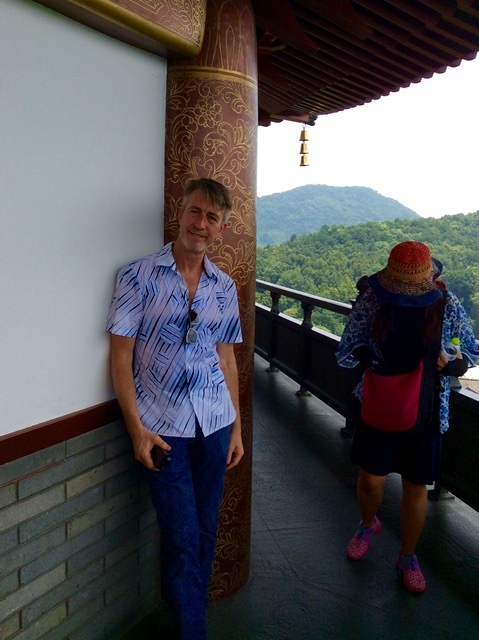 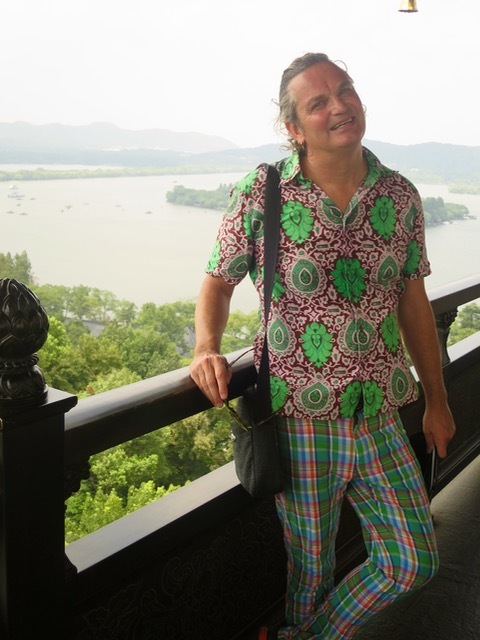 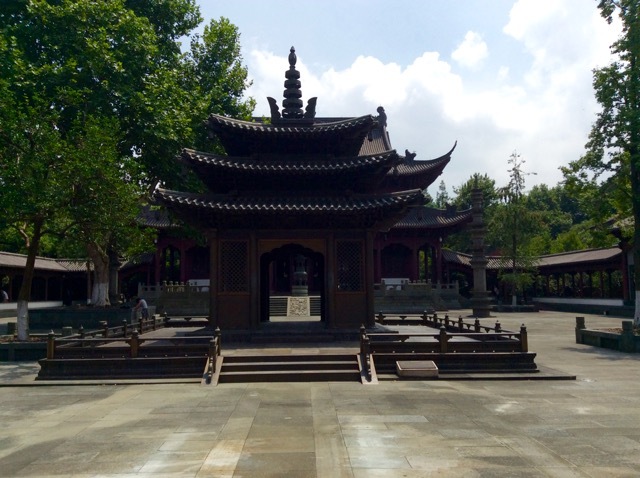 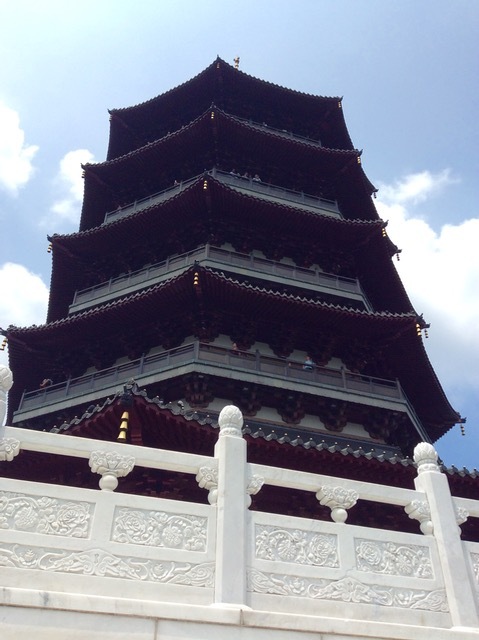 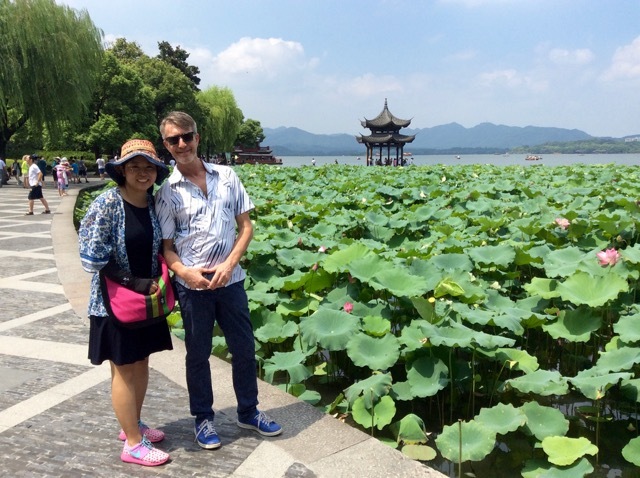 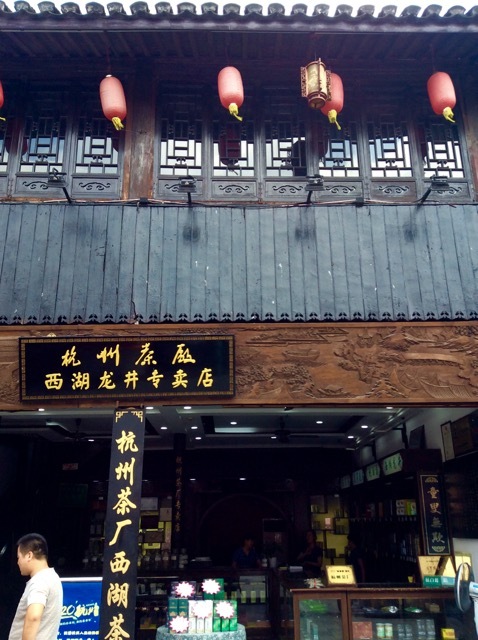 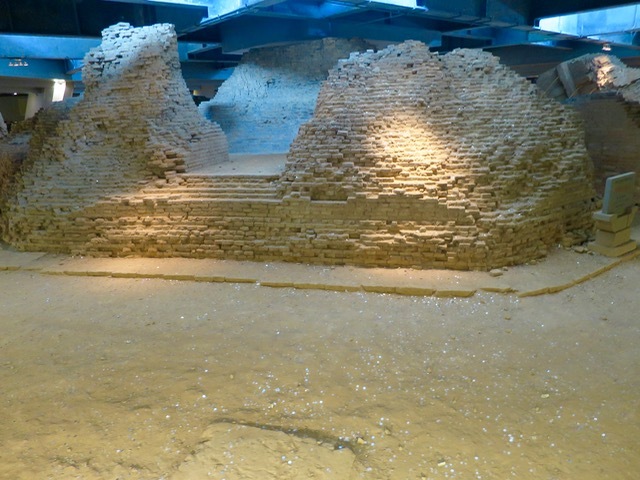 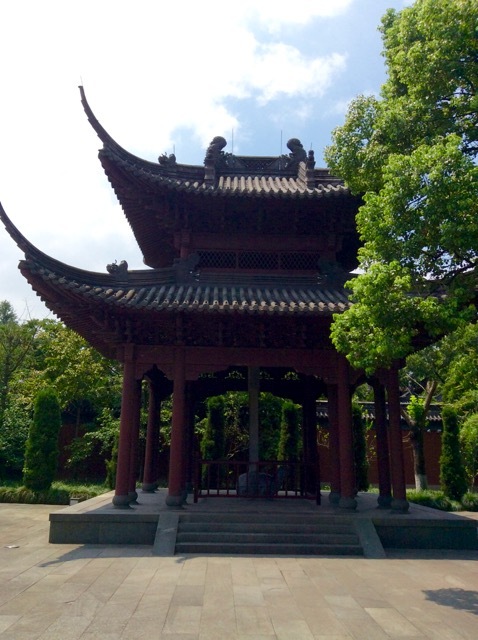 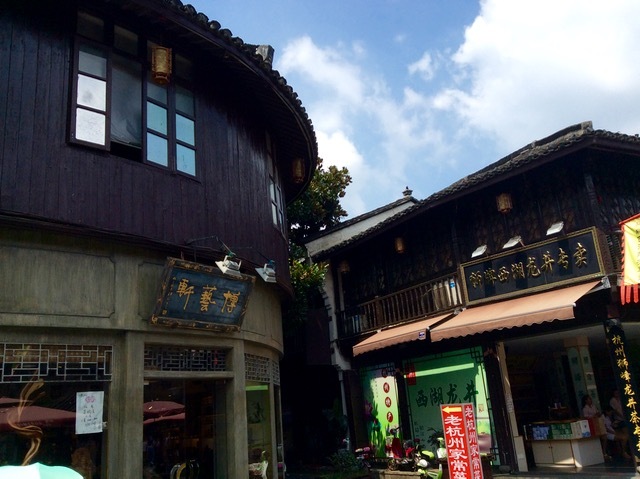 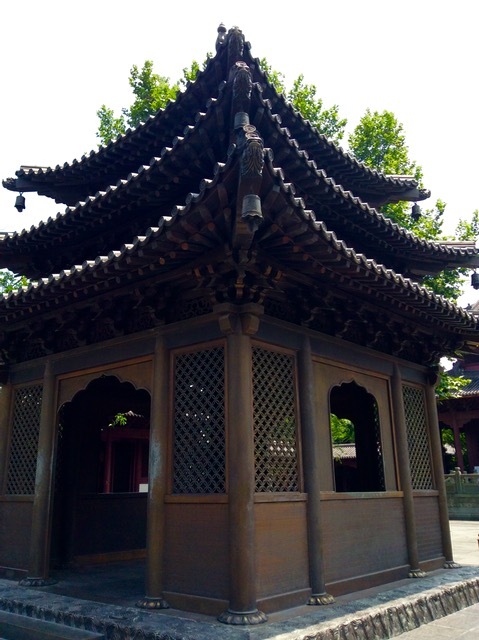 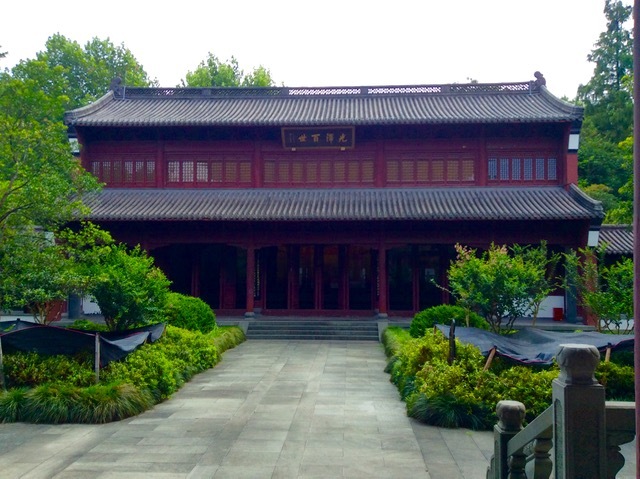 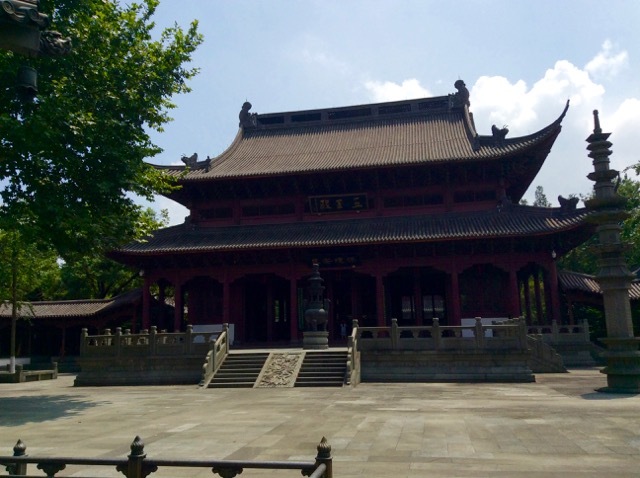 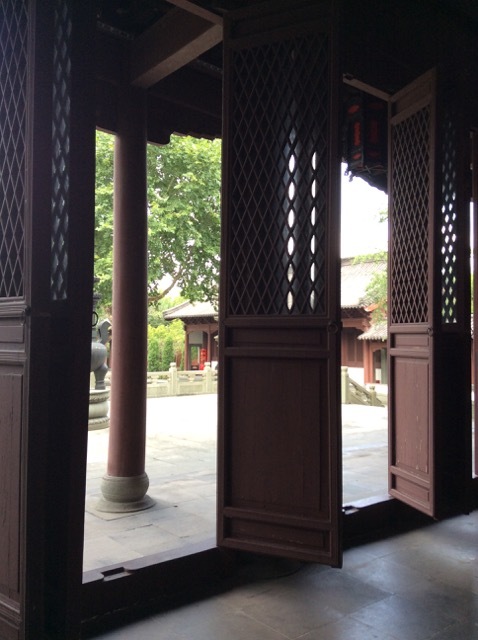 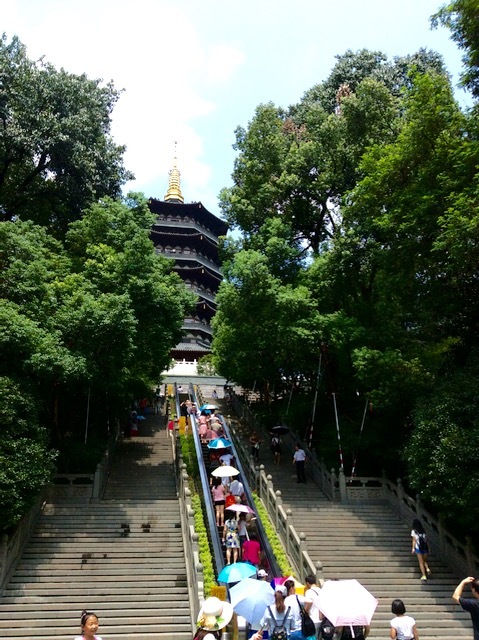 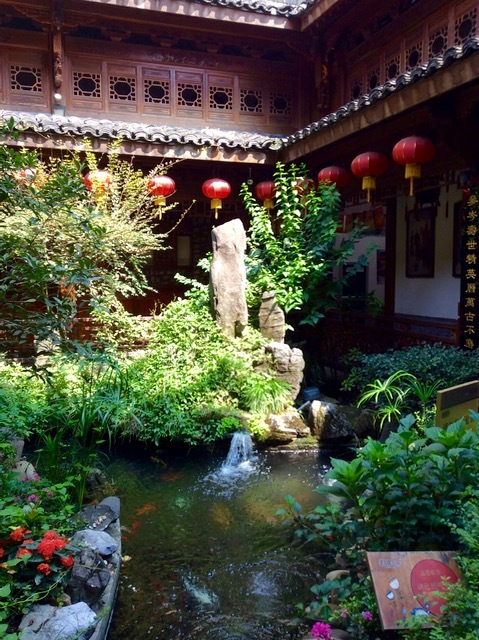 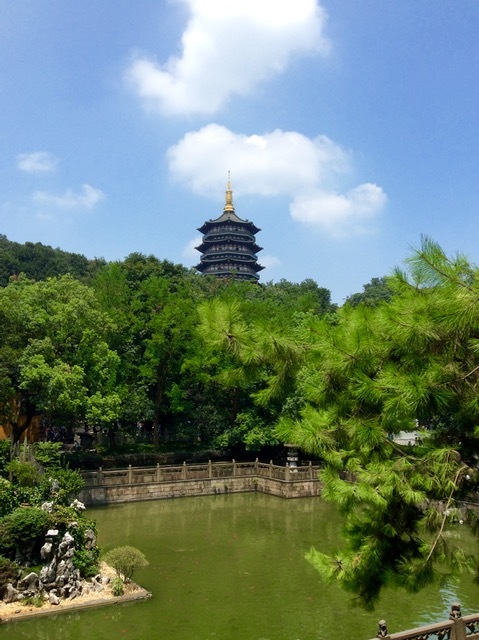 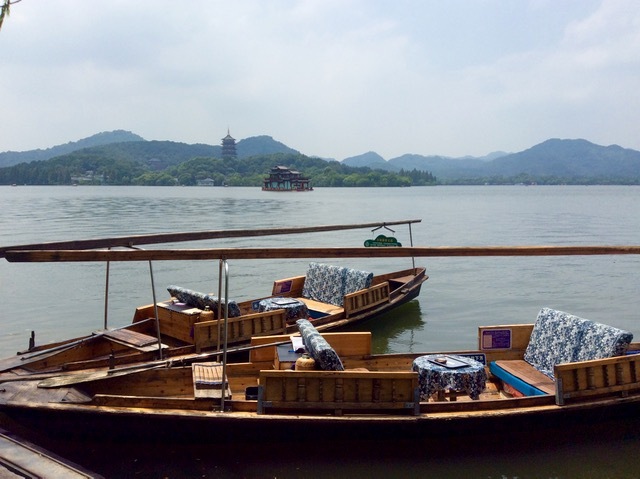 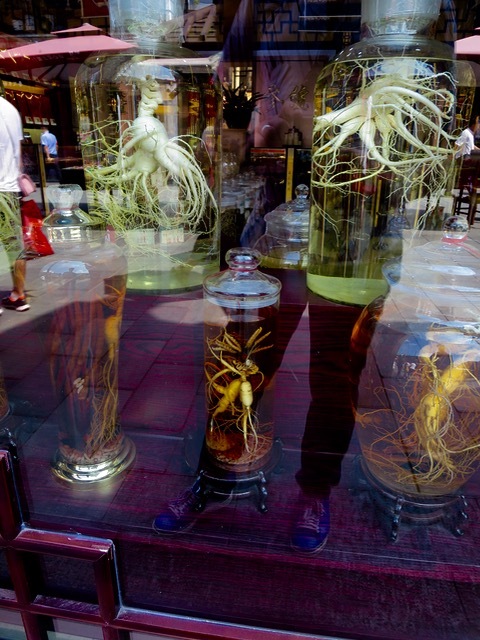 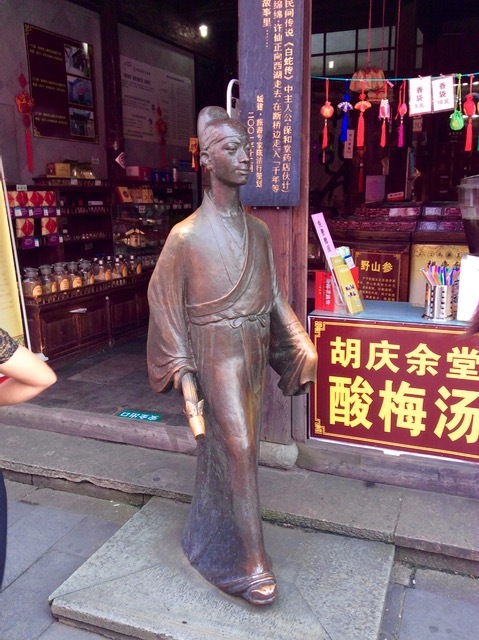 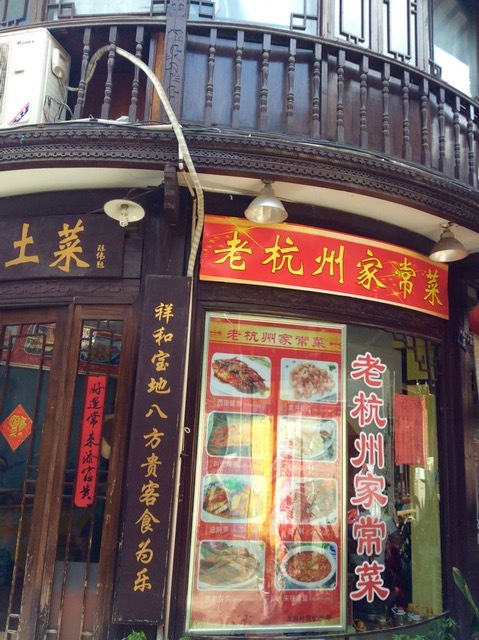 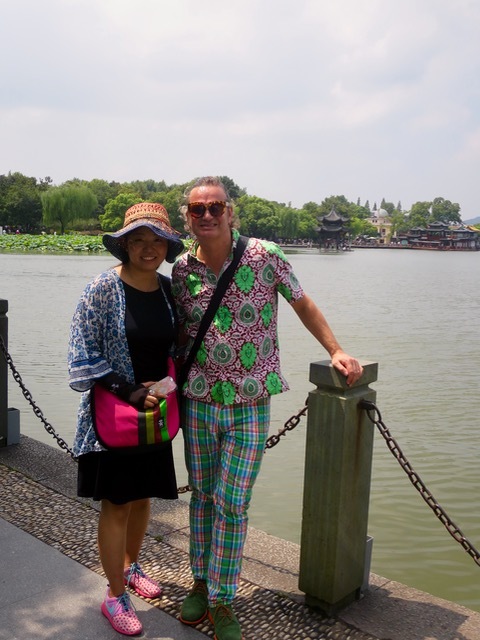 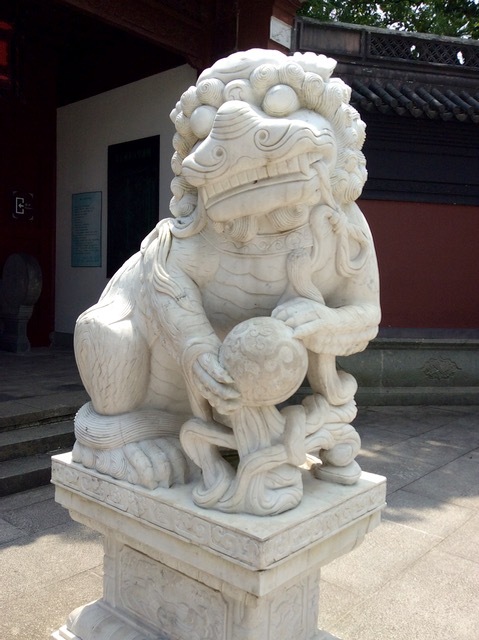 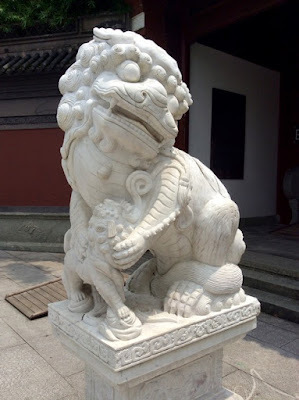 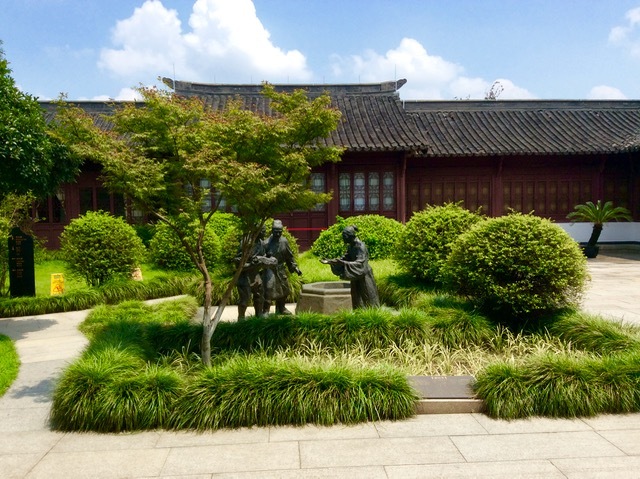 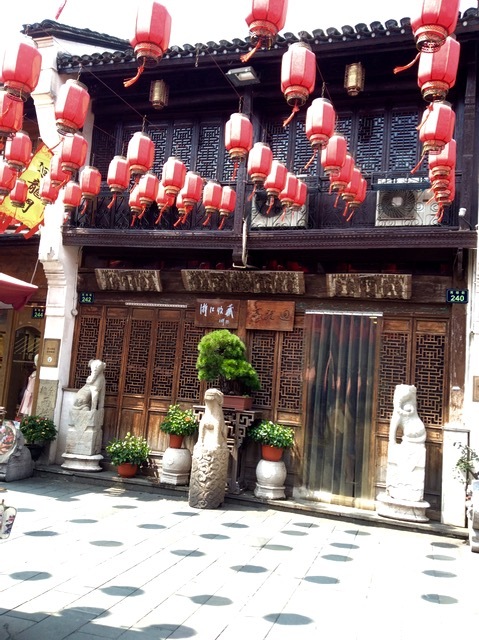 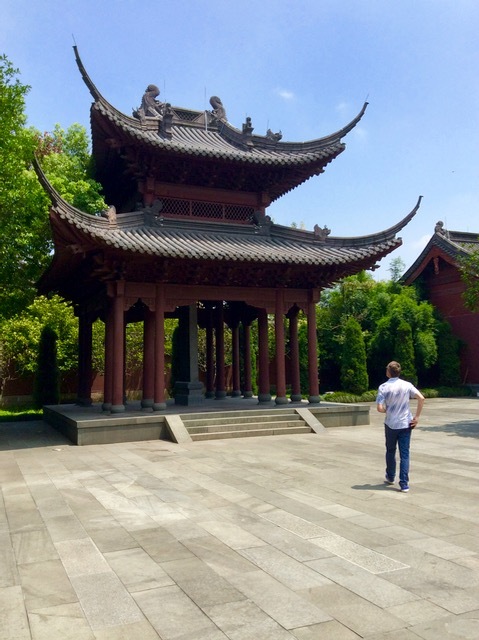 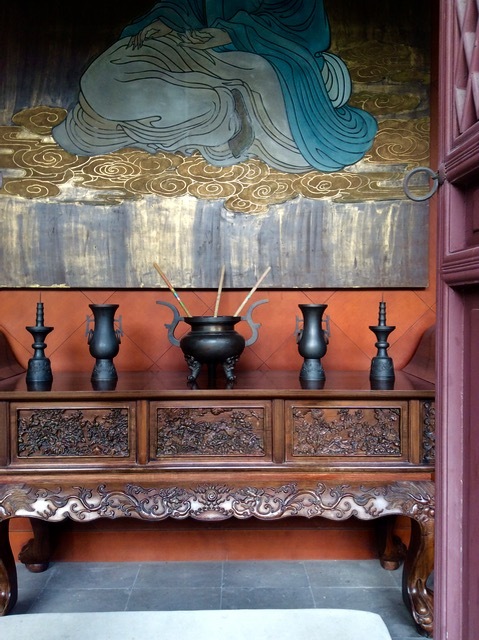 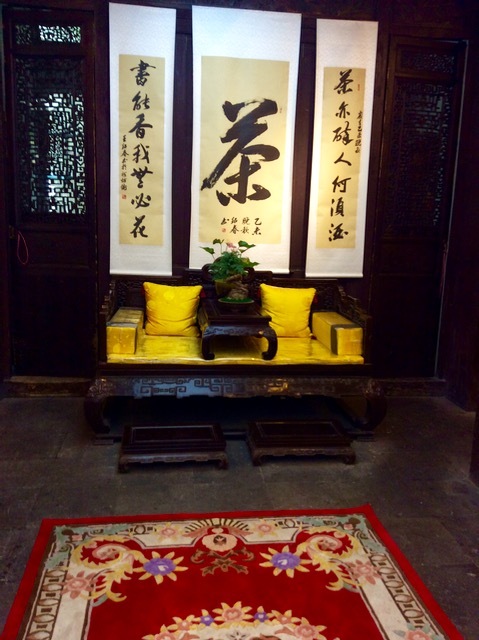 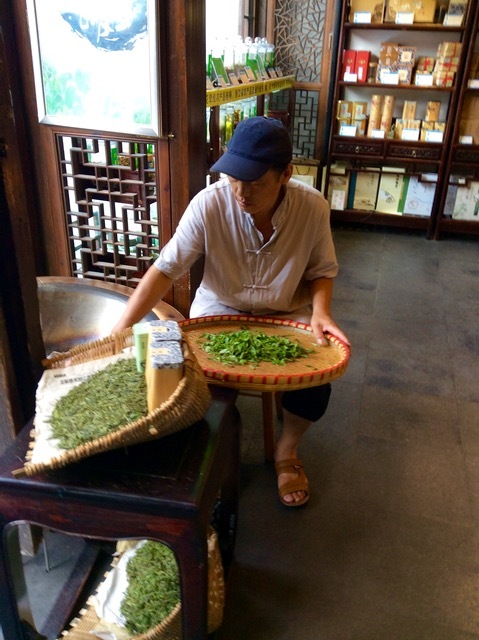 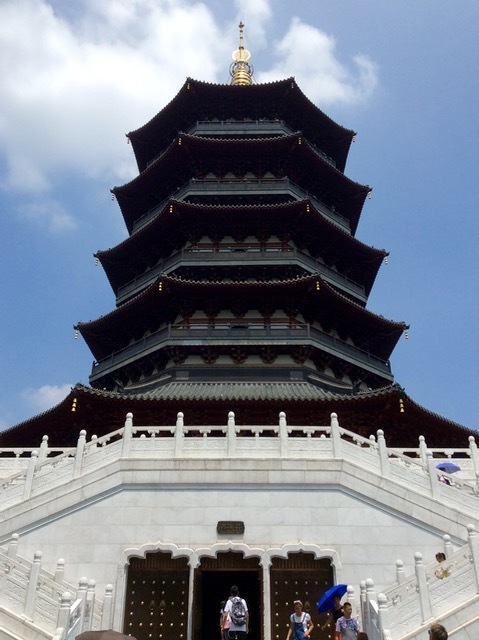 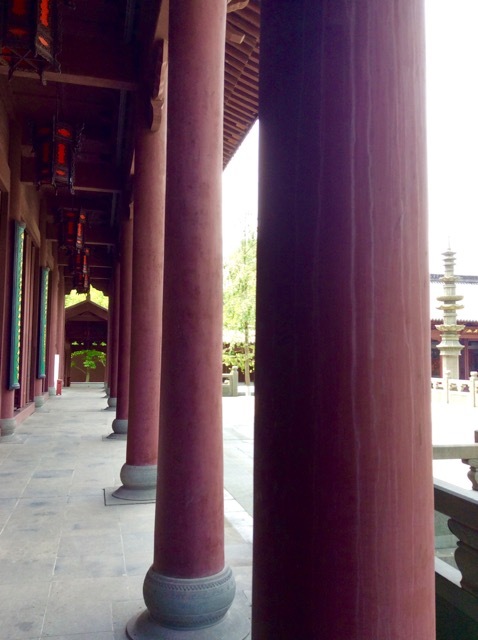 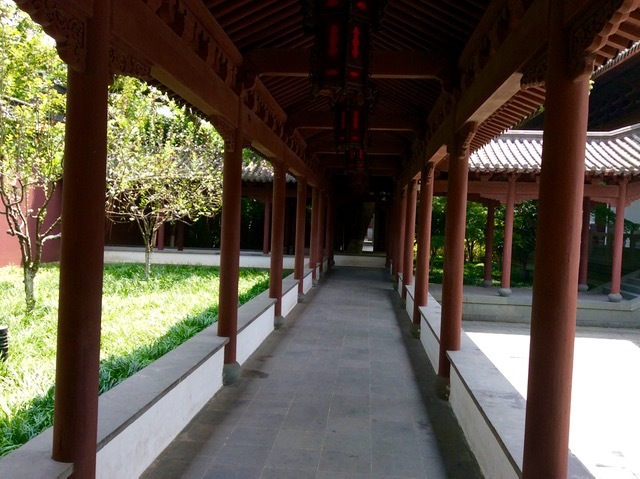 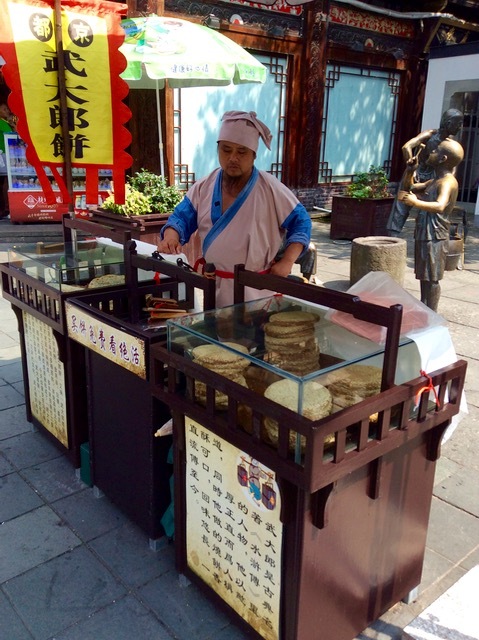 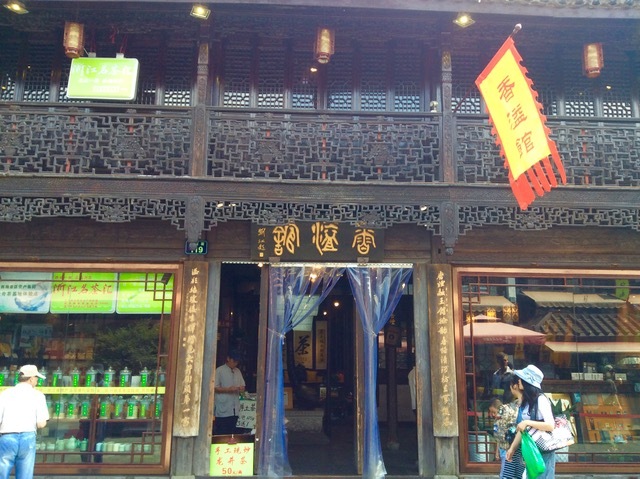 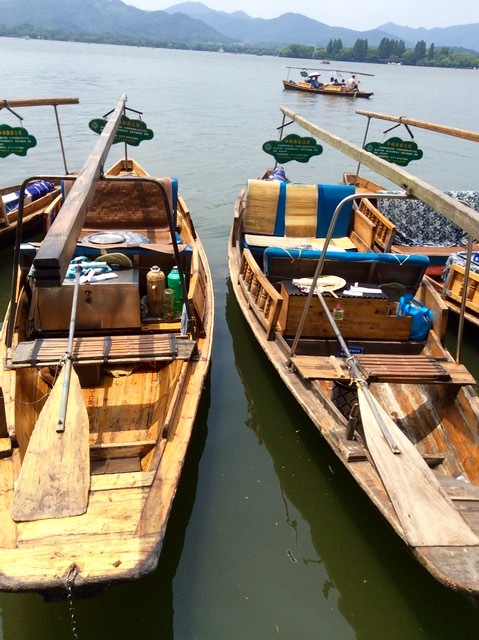 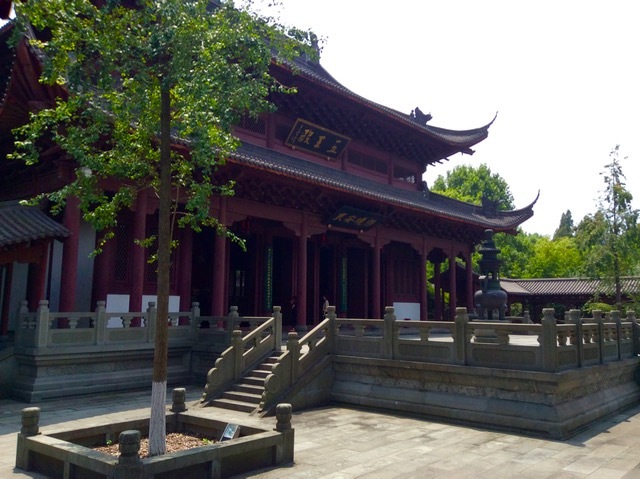 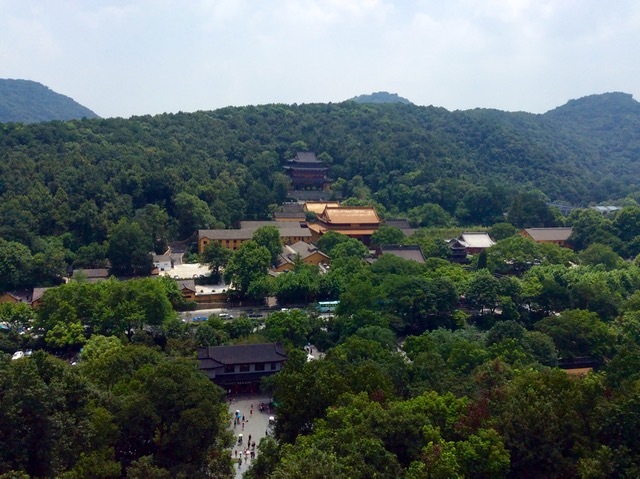 nic-nak castle: Day tripping to Hangzhou. 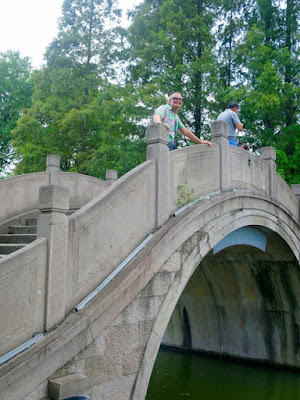 Looking a little further afield we took a day trip to Hangzhou, a sub provincial capital just under 200 km from Shanghai. 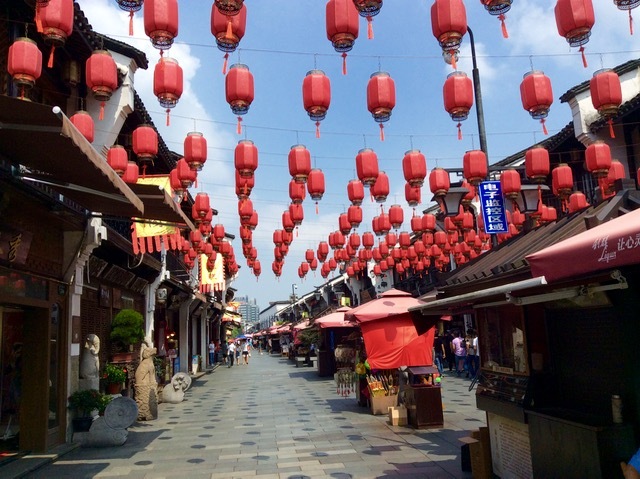 It was surely an exercise in observing just the scale of how China is moving its massive population around as it hurtles into the 21st century. 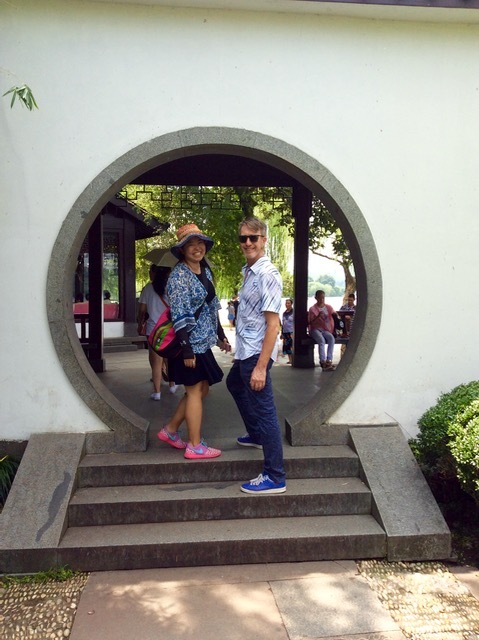 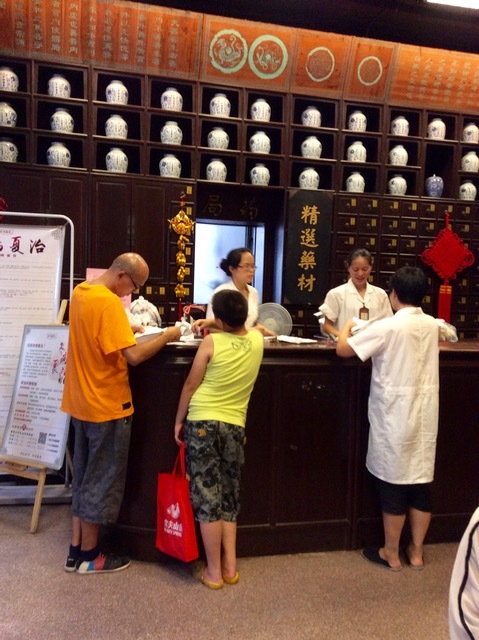 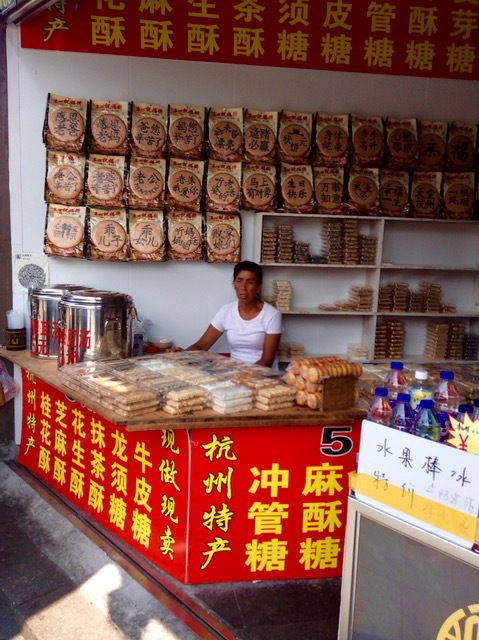 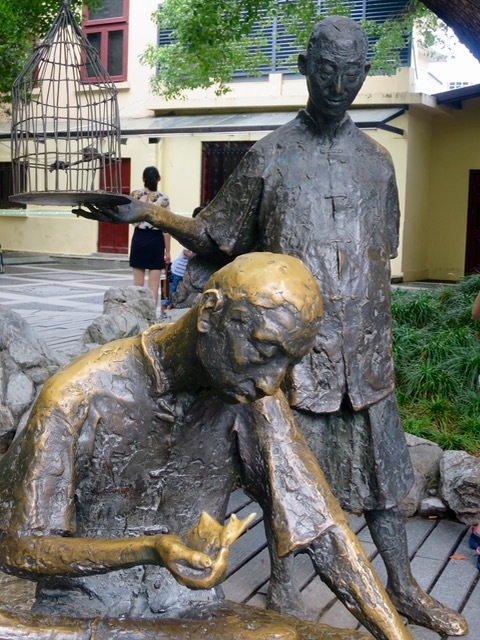 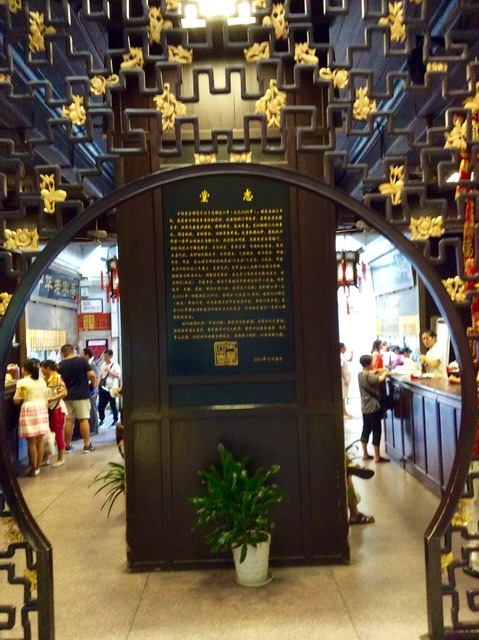 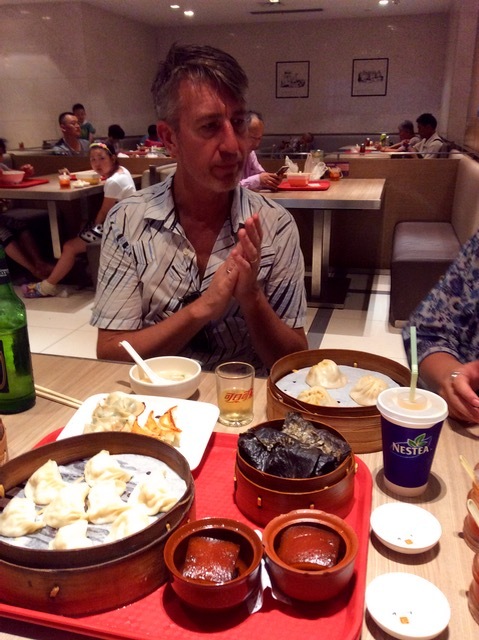 Being fortunate enough to be hooked up with wonderful Maggie Sun as our guide, interpreter and information unit all rolled into one cheerful Chinese contact, we were able to navigate our way through the transiting hordes with relative ease. 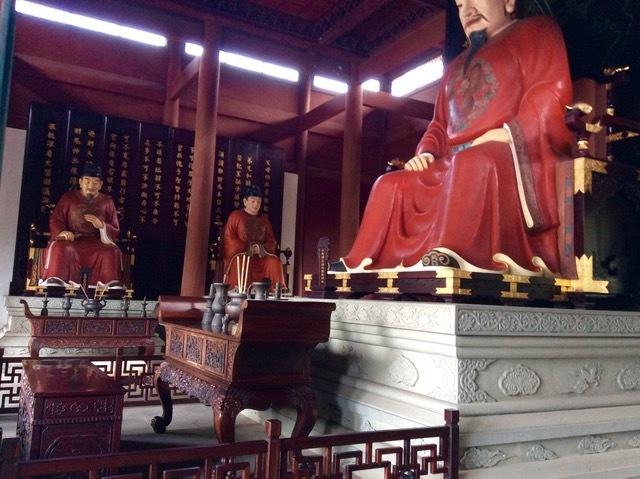 These gigantic railway stations are being replicated across the country and linked with fast and efficient trains to mobilise the local mob. 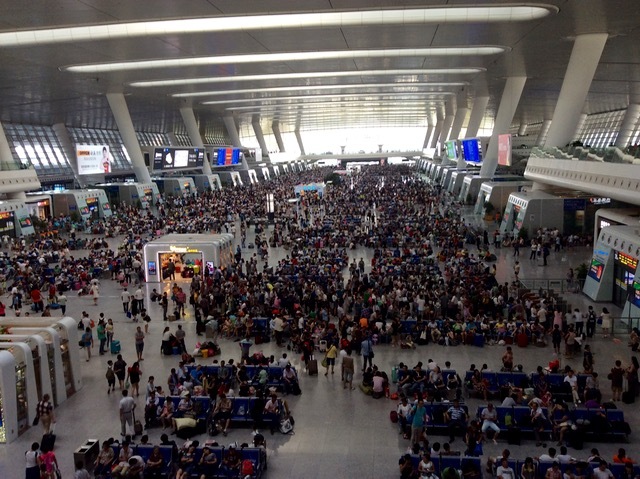 Above is the relative calm of the departures hall in the middle of the day and middle of the week. 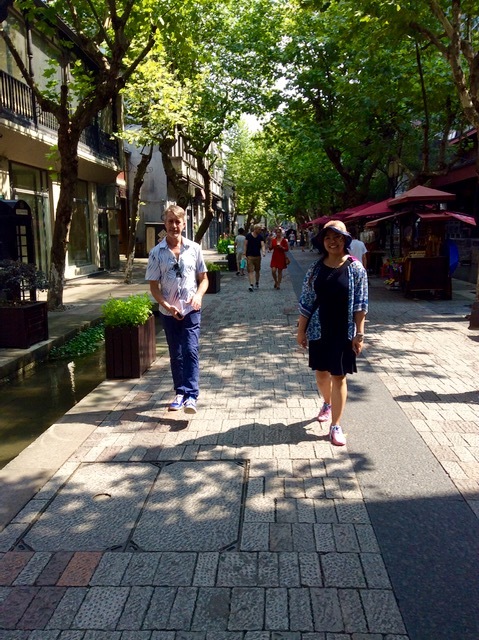 As we plummeted toward our destination, we noted the lack of countryside along this rail corridor. 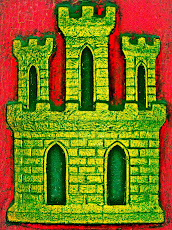 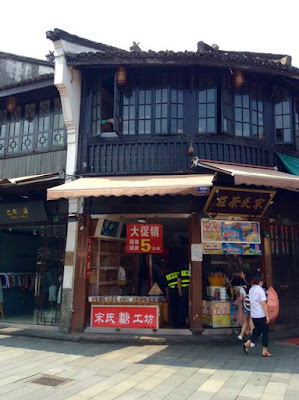 Pretty much for the duration of our journey it was a seamless parade of houses, businesses and apartment blocks that reinforced the enormity of the populous. 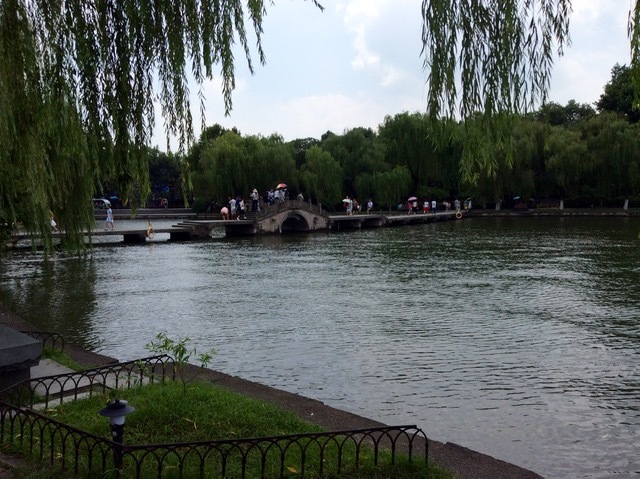 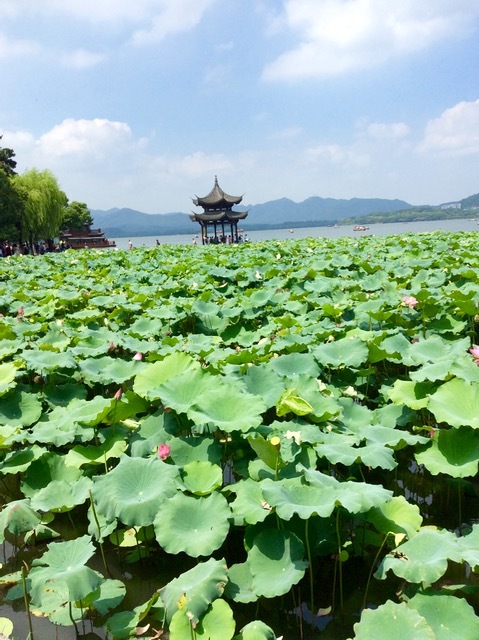 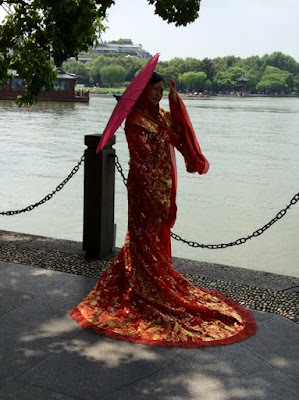 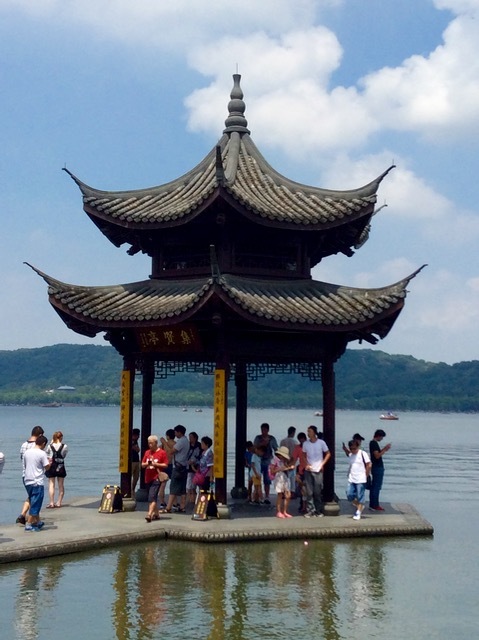 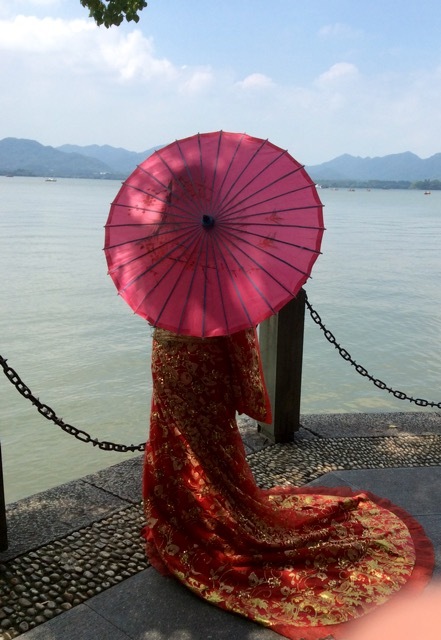 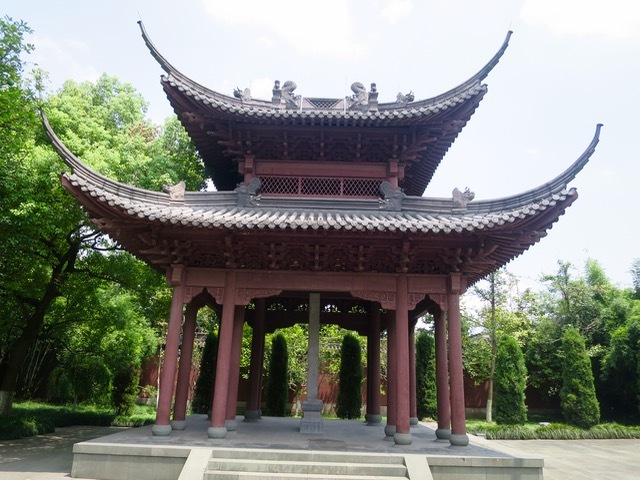 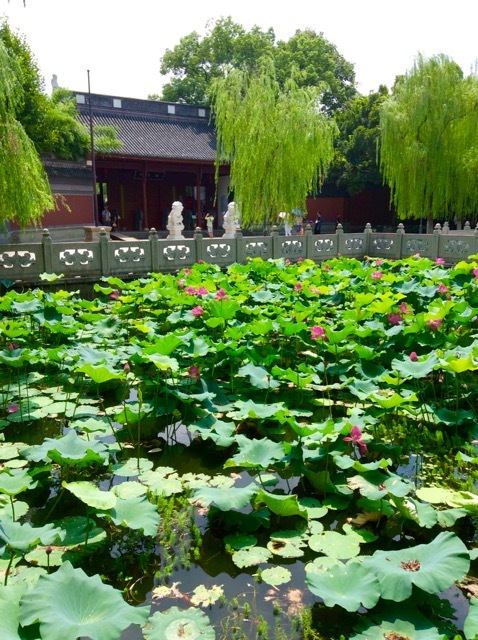 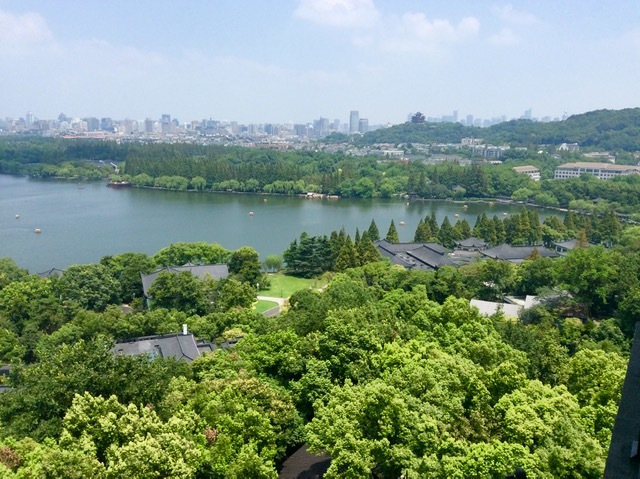 HangZhou is famed for the striking scenery that surrounds it and in particular, its major attraction, West Lake. 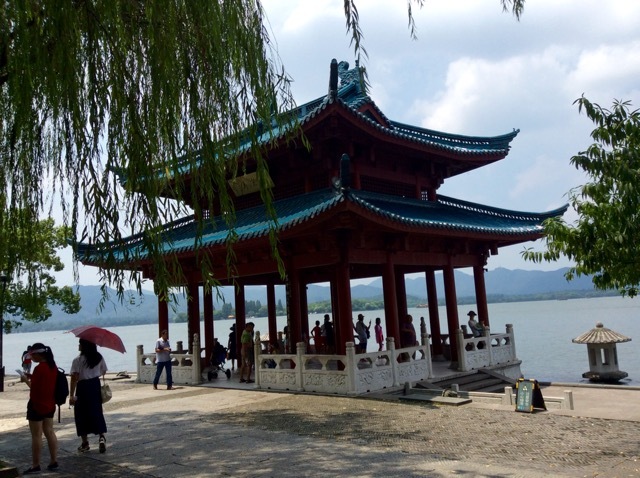 With a wonderful promenade that lines the lakes shore and surrounded by well manicured gardens and a variety of temples and buildings it is delight to hike the shores, albeit in the torrid August heat. 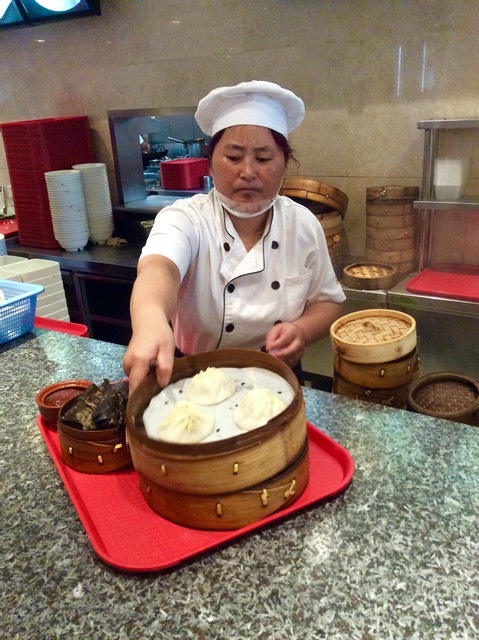 A midday meal cafeteria style hits the spot and re-energises. 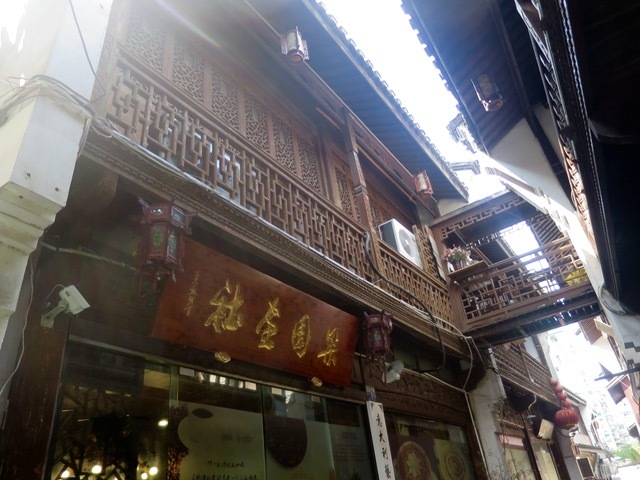 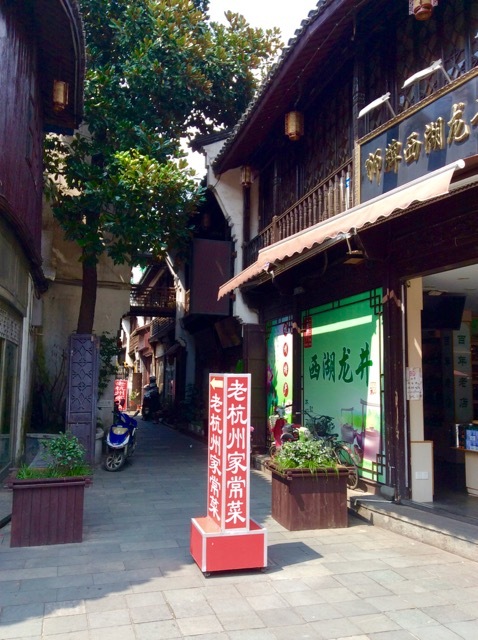 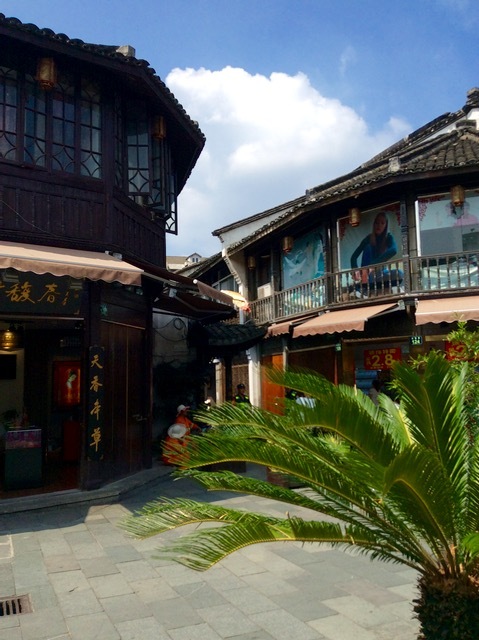 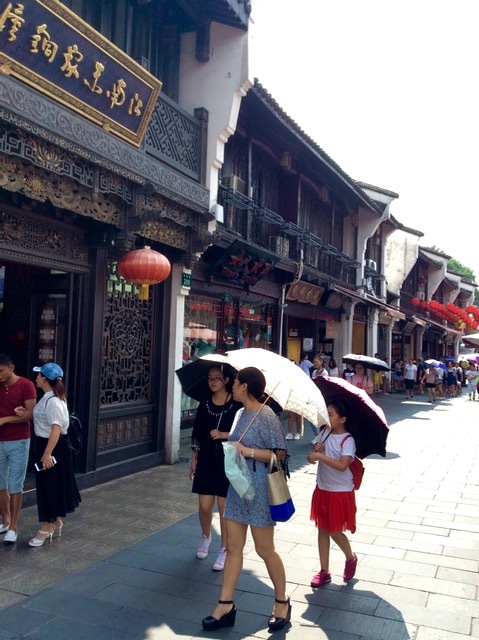 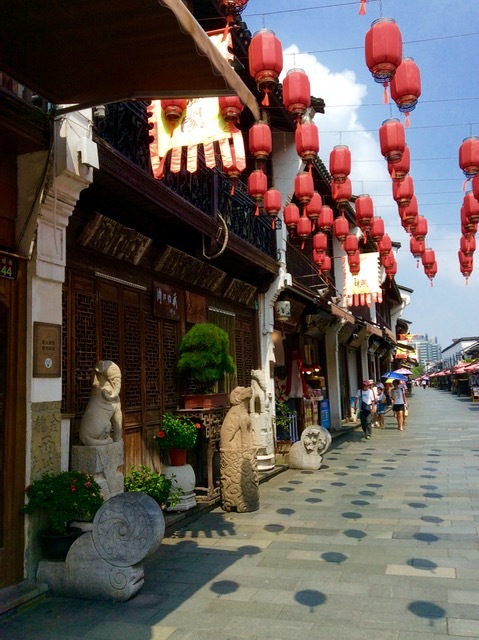 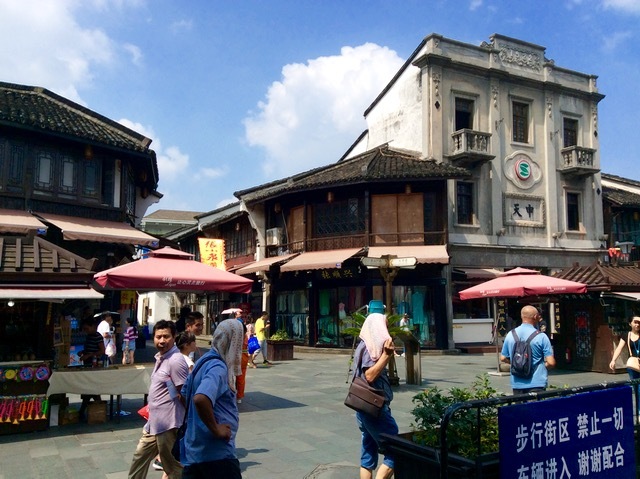 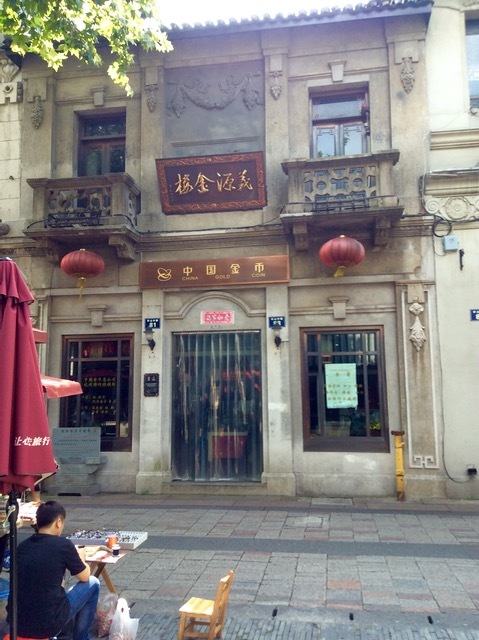 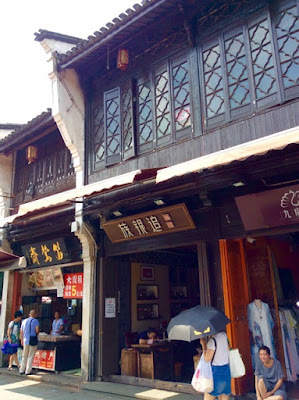 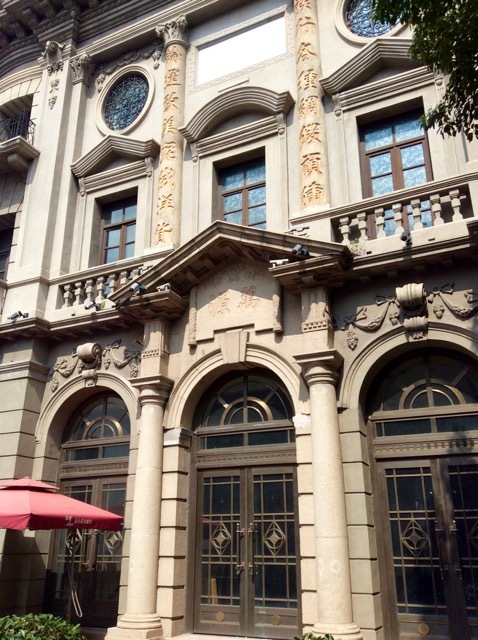 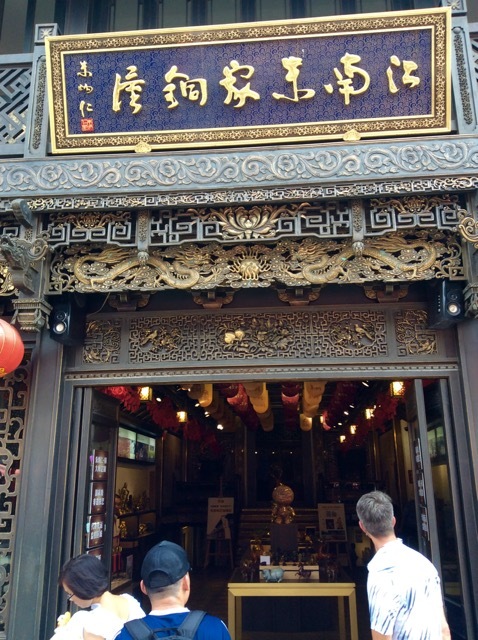 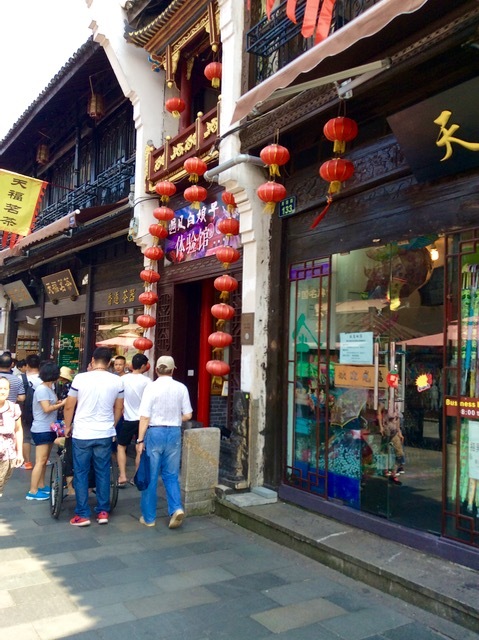 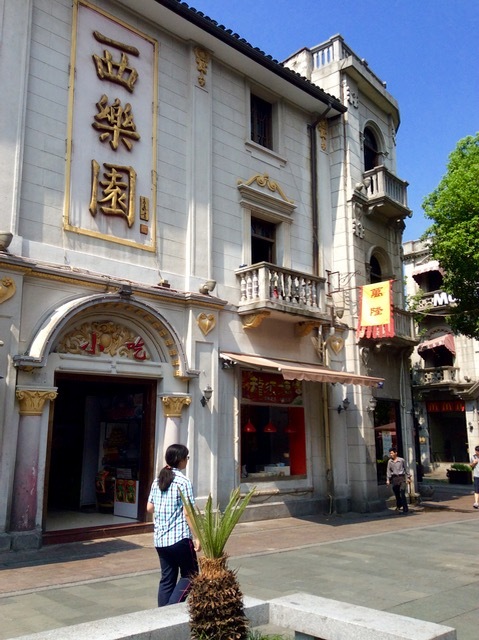 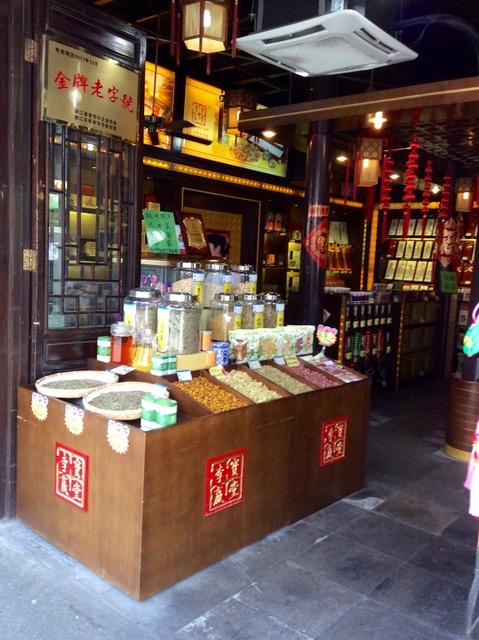 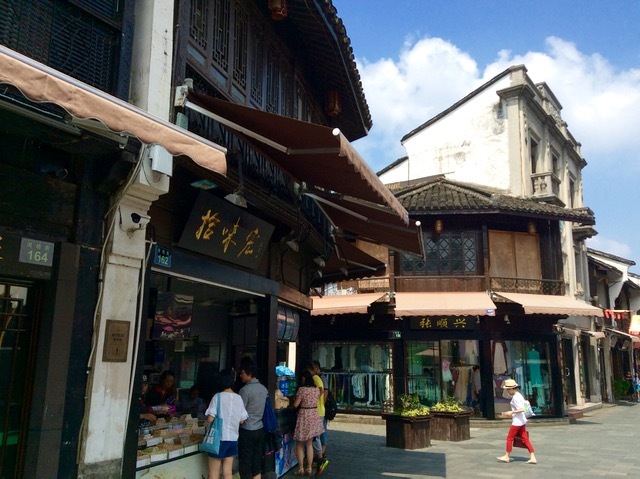 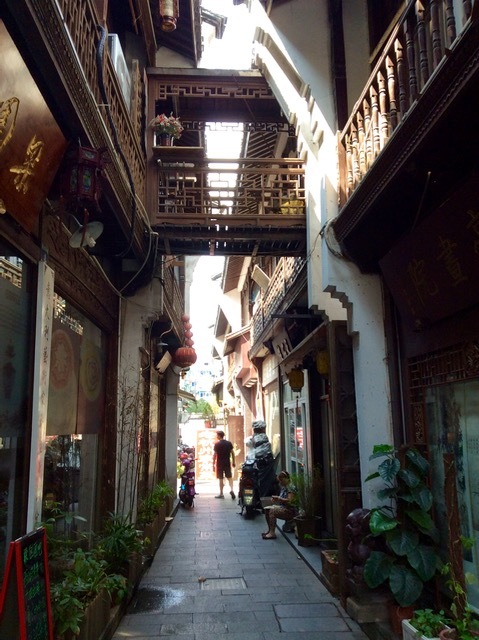 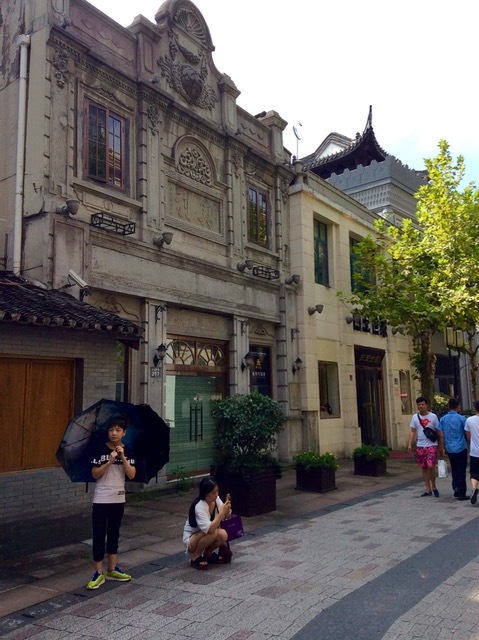 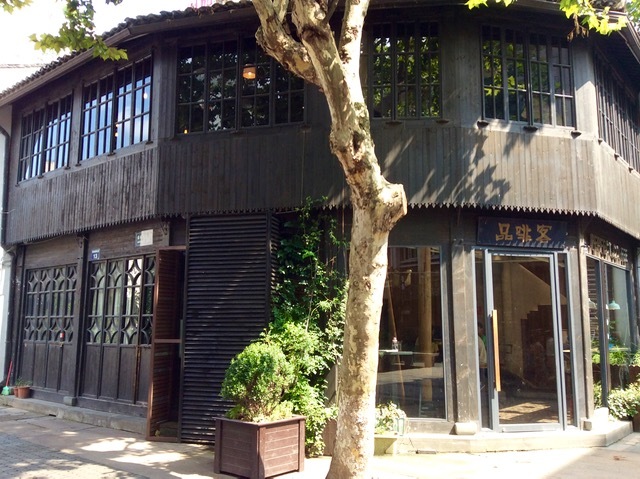 Then it was time to take in Hangzhou's "Old Street", a bit of a Disneyfied open air mall, recreating the shophouses of the past. 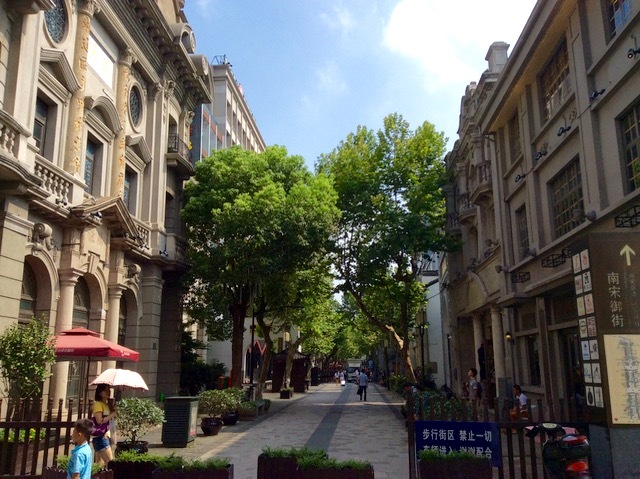 The Waterhouse at South Bund. 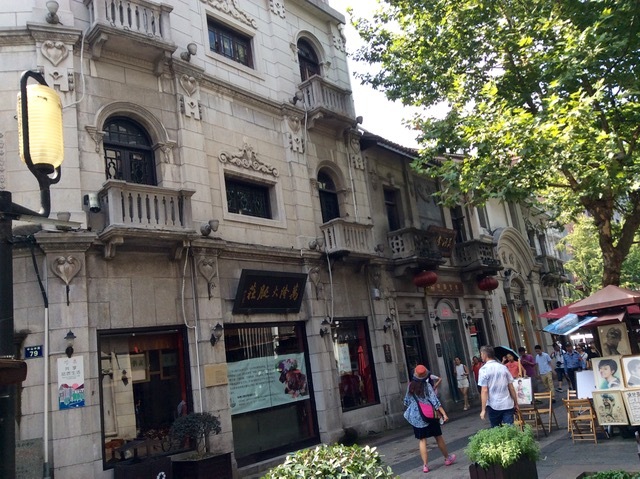 Shanghai realestate. 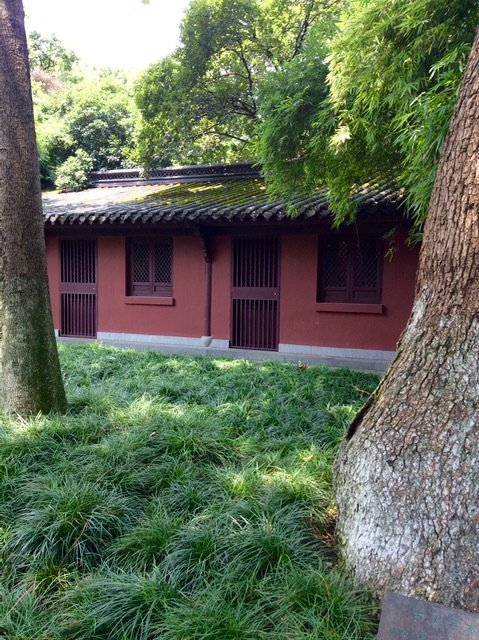 Old & new. 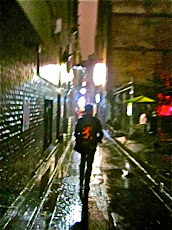 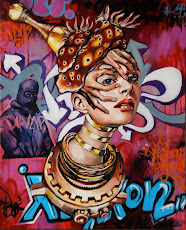 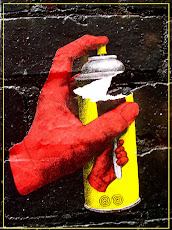 Wuthering in Melbourne for Kate.